3 ceramic parts. The doves are white and degressive in size. 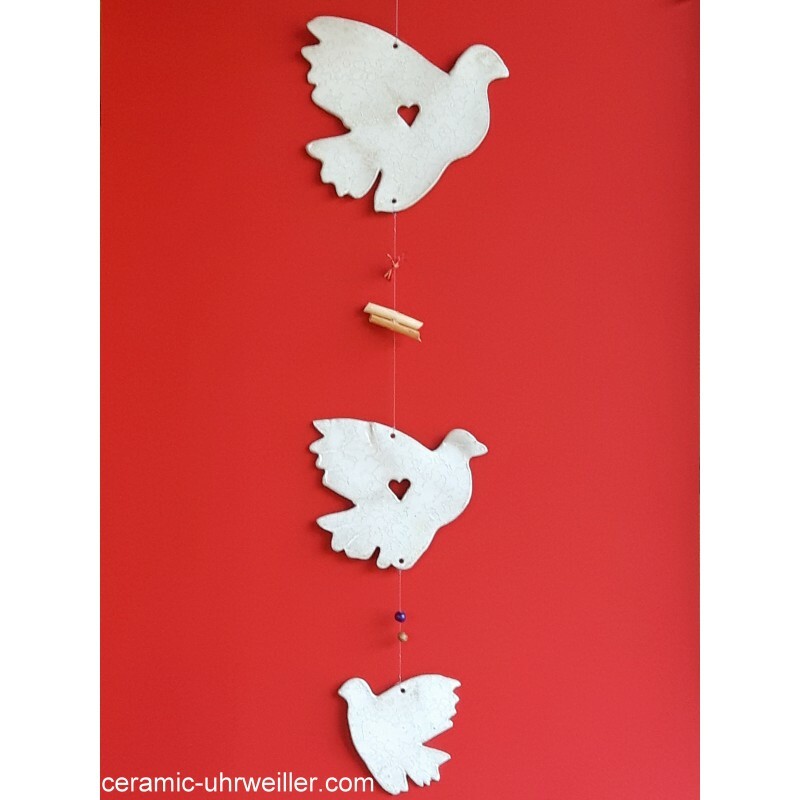 Symbol of peace, purity, love and freedom, it carries a strong and universal message. 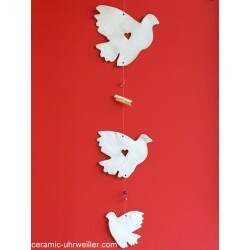 The subjects are separated through wood beads, rafia and extracts of natural willow branches. Wooden beads are blood red, green, yellow or natural. The rafia is a matching colour.